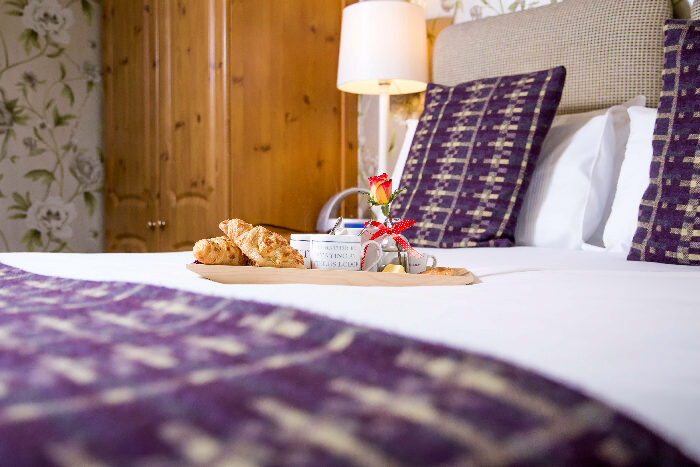 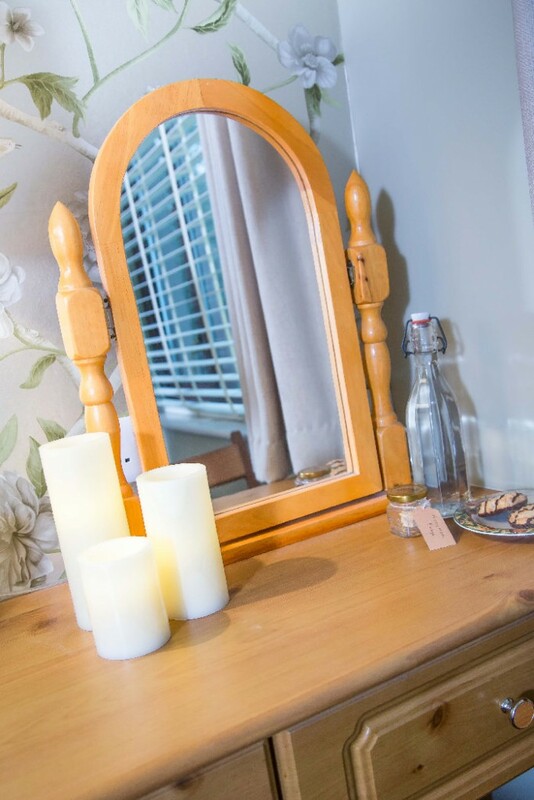 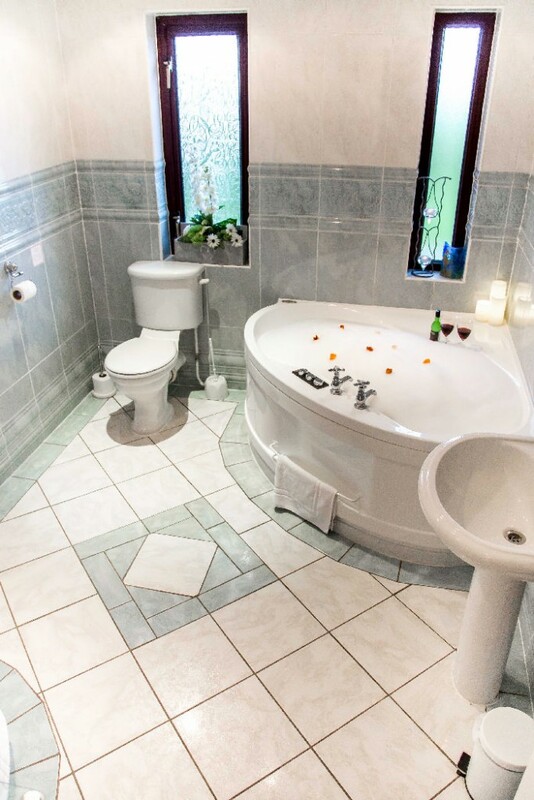 A charming room with a separate, private (for your use only) bathroom that is accessed separately from the bedroom further up along the corridor. 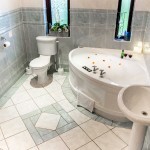 The bathroom is lovely with a Jacuzzi bath and a power shower with body jets, to make up for it not being in the room. 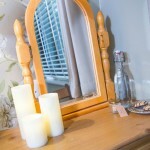 The price of the room reflects that it is not ensuite when compared to other rooms in the house. 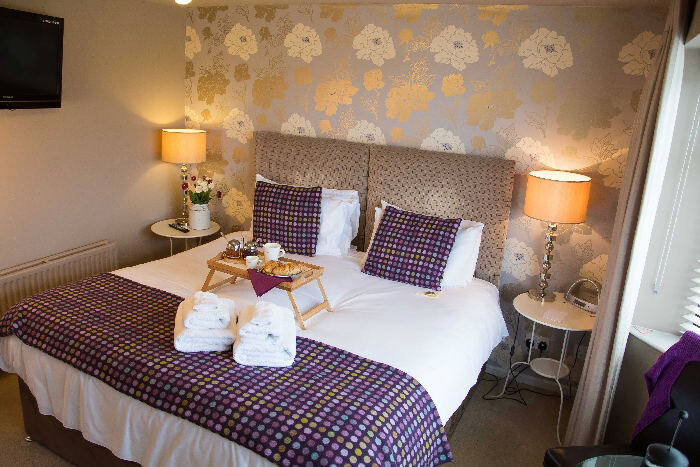 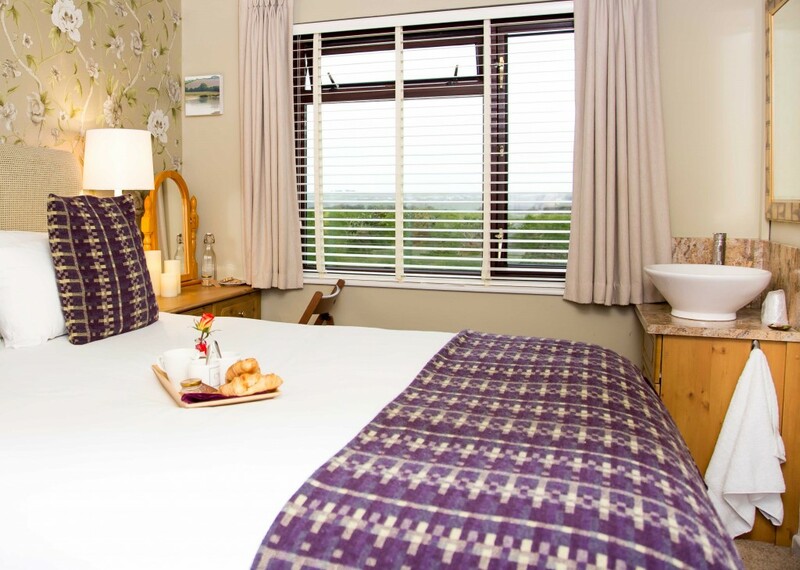 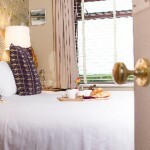 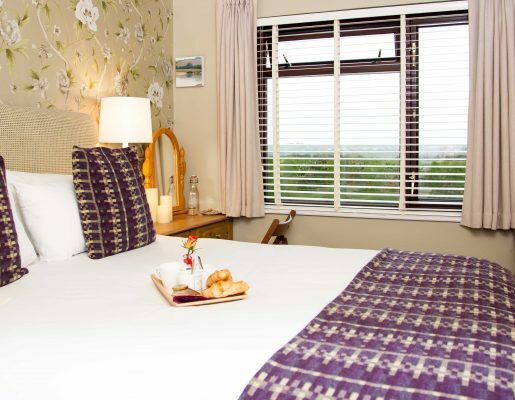 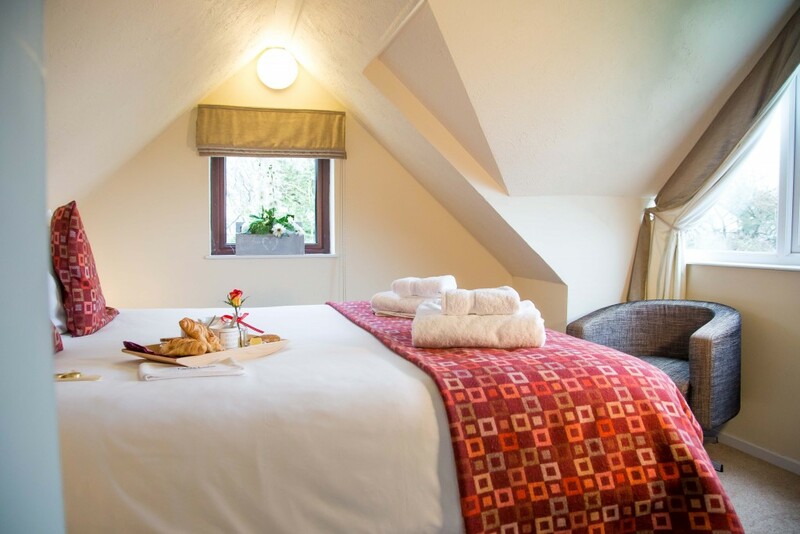 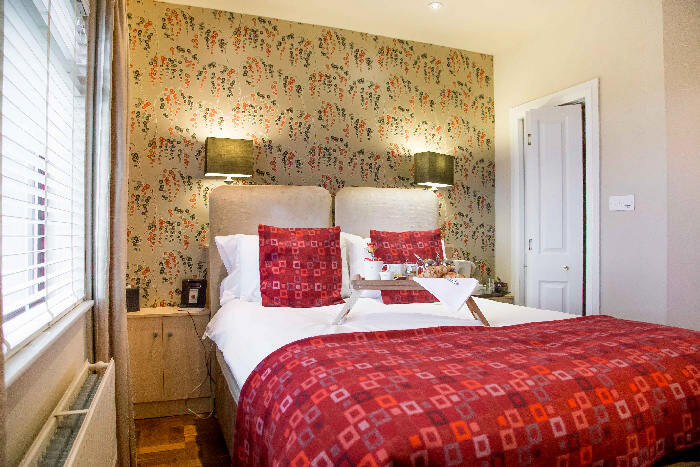 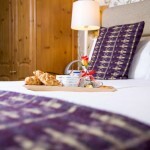 The bedroom overlooks the rear garden with views over the Pembrokeshire Bank to the countryside beyond. 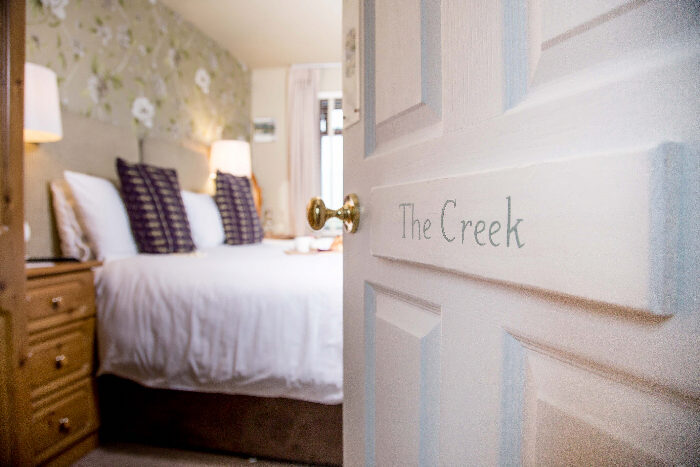 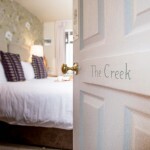 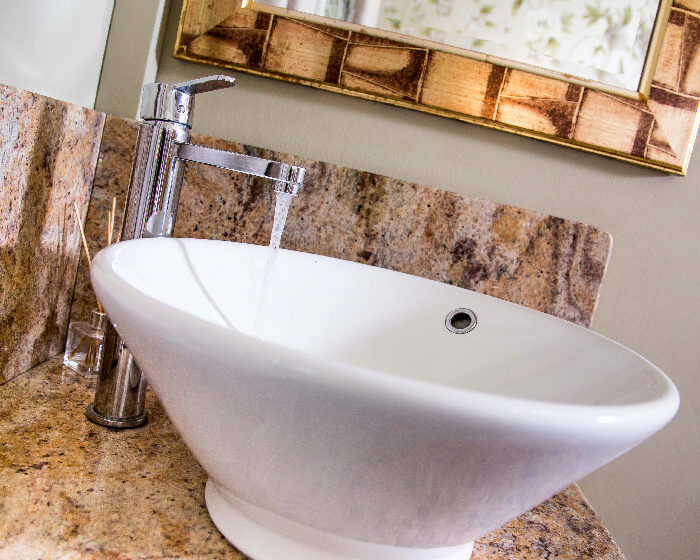 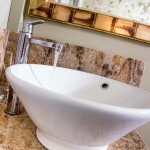 The Creek has its own private bathroom facilities, it is not ensuite.